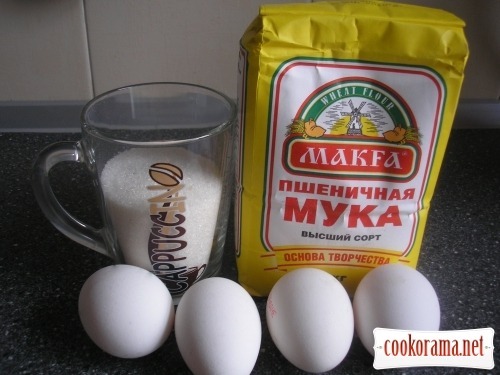 Mix eggs with sugar, use mixer to stir well. 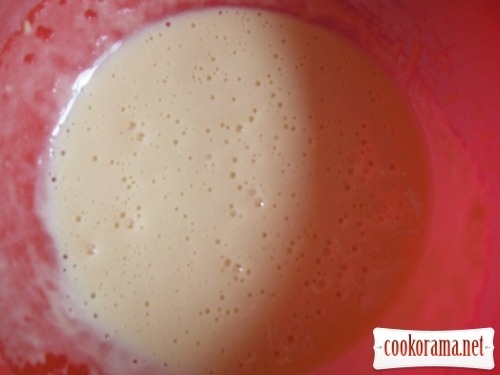 Add flour and mix again. 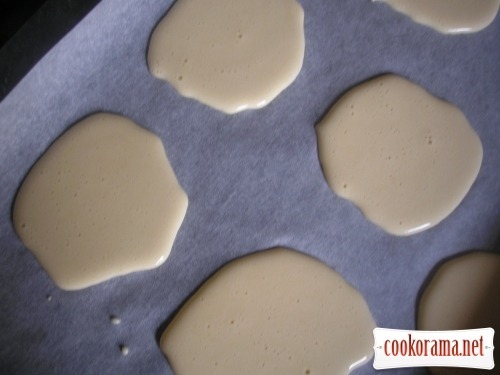 Spread with table spoon on covered with cooking paper baking sheet. Bake for about 5 min at 220 C till brown edges. The middle should be a bit raw. 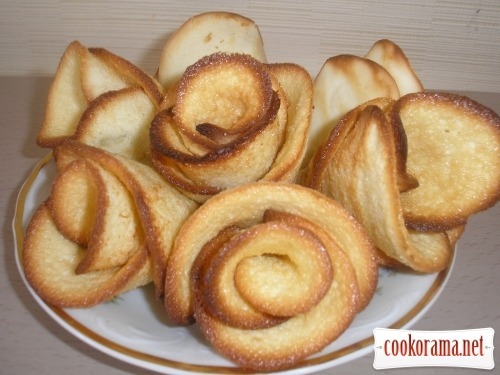 You should roll roses very fast, till dough didn`t cool. Roll first petal into a tube, and stick to it petals like from rose. Rose consists of 3-4 petals. 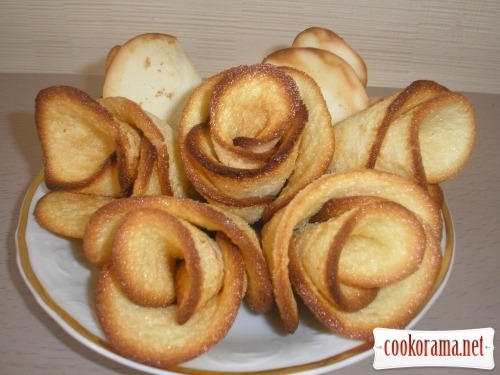 Top of recipe "Cookies "Roses""
Скажите, пожалуйста, сколько розочек получается из указанного количества?